Hua Ting Restaurant, a familiar name with most on traditional Cantonese cuisine, has launched a new line of mooncakes this season. With chef Lap Fai at its helm, crowned Asian Cuisine Chef of the Year 2014 at the World Gourmet Series Awards of Excellence, we certainly had high expectations of what we were about to taste. A new addition this year, this was a personal favourite with a subtle tea fragrance. The slight twist with black tea infused was a fond reminder of how mooncakes are enjoyed with Chinese tea traditionally. We loved how it wasn't too sweet (so we can eat more without feeling overwhelmed), and the melon seeds for an added crunch to complement the smooth paste! A classic traditional one, it's packed with nuts for a solid crunch in every mouthful. Full-bodied flavours with the assorted nuts and a hint of cinnamon, it's well balanced with a thin layer of soft skin that doesn't leave a sticky touch. Snowskin selection bursting with colours! When I first heard of this, my first reaction was "really?!" It was pretty hard to imagine my favourite yam which is commonly used in Chinese cuisine, to be paired with champagne. The champagne came through quite strongly with a white chocolate shell, and the combination was a pleasant surprise. Don't be too picky to expect real mango bits, as those are known to spoil easily. Adding a nice twist with preserved mango bits, we loved the crunch in every bite, without any hint of artificial flavouring to it. A refreshing piece from its usual lotus paste counterparts, good thing that it wasn't too sweet either! Another good old classic was its Mini Snow Skin Green Tea w Yolk that we couldn't get enough of with its strong matcha taste! And if you're up for some sweet stuff, the Mini Snow Skin Purple Sweet Potato Paste w Chocolate packs a dark truffle centre for the chocoholics. 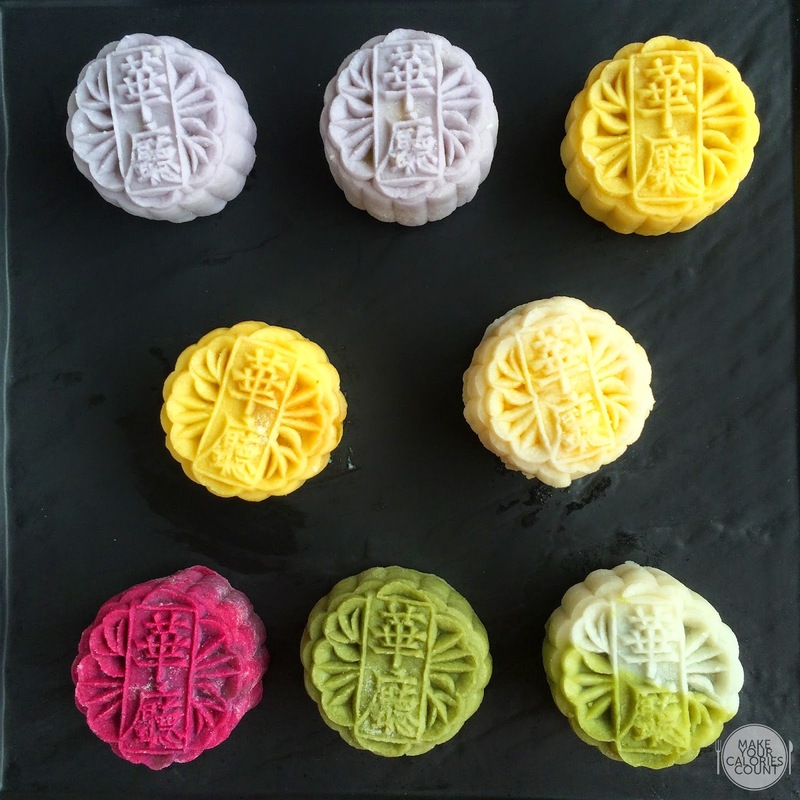 We loved the slight twists to its flavours and its varied textures, making mooncakes a more exciting affair. 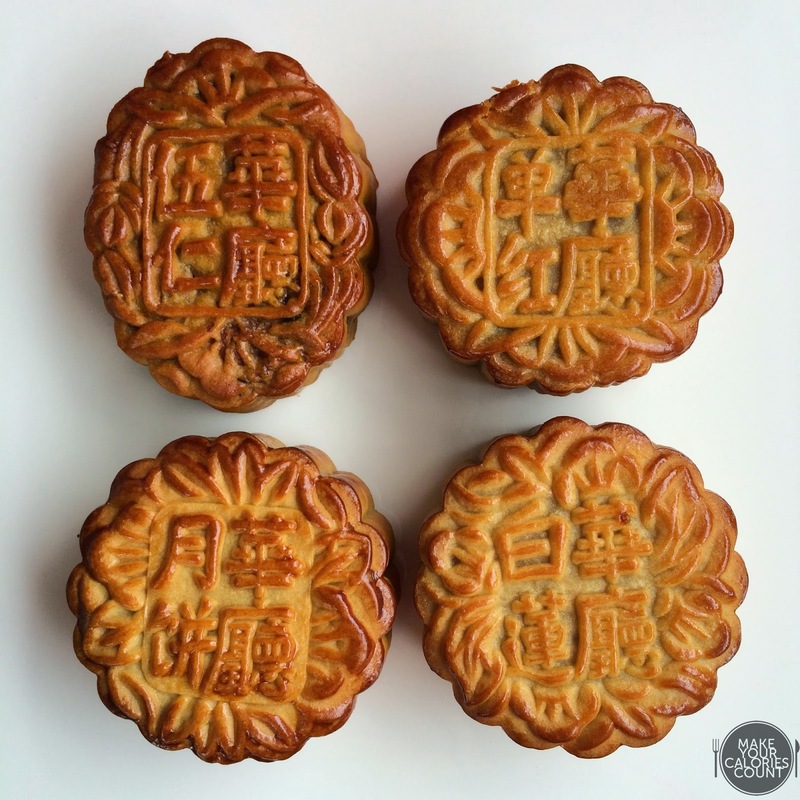 And if you aren't sure what flavours to get, there's a mooncake booth available for sampling, at Orchard Hotel's Lobby area from now till 8 September 2014. P.S: Much thanks to Sharon and the team from Orchard Hotel Singapore for the mooncakes!